Tis the season…for energy efficiency! Before you create your holiday shopping list, read through our energy efficiency tips and check these off your seasonal “To Do” list. Whether you chose to make small changes, or opt for a bigger ticket investment, you’ll be happy with the reduced energy costs throughout the year. Window efficiency is probably the last thing on a homeowner’s mind when the sun is beating down in Chicago summer months. As late fall arrives, however, howling winds and snow quickly draw attention to the need for window improvements. You might be surprised at the financial impact old, poorly insulated windows may be having on your energy bills. Just image dollar bills flying out with that noticeable draft! If replacing the windows isn’t in your holiday budget this year, consider adding weather stripping or a bead of caulk around the to help reduce drafts. If you are using three blankets on the couch to stay warm though, it may be time for window replacement. Don’t know where to begin? Start with a good understanding of the government’s standard qualification: ENERGY STAR. When doing your research, make sure to look at a window’s u-factor. U-Factor measures how well a product can keep heat from escaping from the inside of a room. The lower the number, the better a product is at keeping the heat in. Windows are an investment that can potentially have a great return so make sure to take the time to research your options and find windows that complement your home’s design and your lifestyle. 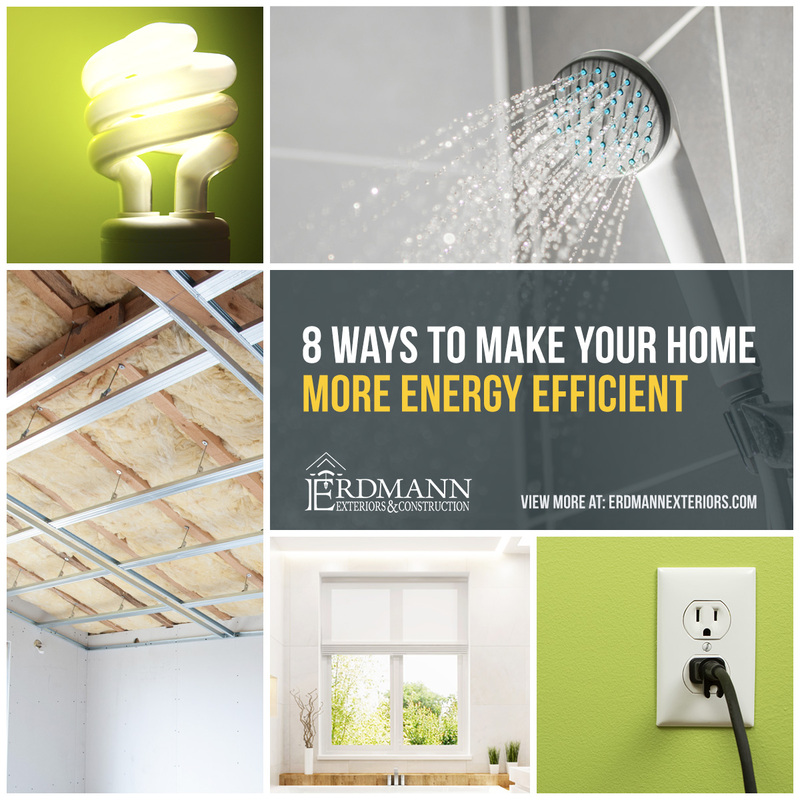 The rate at which your home cools, warms, and vents greatly effect your energy costs. An old, inefficient system may be costing you more than you know. This is the time of year to tune up your HVAC unit. Properly maintaining your heating and cooling systems will typically lengthen the time until furnace replacement is necessary and is, therefore, money well spent. After your HVAC tune up, consider a “smart” thermostat. The latest models offer temperature and proximity sensors as well as connectivity to digital assistant such as Amazon Alexa, Google Assistant, and Apple Home. Greater control over your home’s temperature – especially when no one is home – can really help decrease your heating (and cooling) costs. One last quick tip regarding home heating – look up! If you have ceiling fans in your home, flip the switch on the body of the fan to reverse the direction of the blades. The heat your HVAC system produces will be pushed down by the blades, helping to keep your home heated more evenly, and reducing the demands on your furnace. Adding insulation to your attic can help seal air leaks and reduce your home’s heating and cooling costs. The amount of insulation needed to adequately cover your attic depends on your home’s size and layout. According to HomeAdvisor.com, the average cost to blow in additional insulation into your attic is $1,356. Calculate what you expect to spend this heating season and the decision to increase your “R-value” and add insulation may be an easy one! Don’t stop with the windows – drafty doors are a sure way to run up your heating bills. Entry doors that allow movement while latched are not in contact with the weathstripping and permit cold air to enter, and warm air to escape. Another way to check and see if you’re due for a door replacement is to look for light. At night, look for light entering around any side of the door. Visible spaces between the door and the jam are especially common with old wood doors, as they are susceptible to shrinking in winter’s cold and dry air. Rather than heat the great outdoors, consider a new door! Today’s entry doors offer energy efficiency and style. If you have an energy-efficient entry door, adding a storm door gives you an extra layer of protection from the weather year-round. Storm doors typically have low-E glass or a protective coating that can help reduce energy loss by up to 50%, according to the U.S. Department of Energy. Cell phone and battery chargers plugged in (but not in use) draw a surprising amount of energy. According to Energy.gov, the average charger consumes 0.26 watts of energy when not in use and 2.24 watts when connected to your phone. Now that you know, be conscience of your phone chargers, unplug when not in use. Installing low-flow showerheads improves your home’s water efficiency. Low-flow showerheads have a flow rate of less than 2.5 gallons per minute, while most conventional showerheads use 5 gallons per minute. Reduce your heated water usage and your savings will double! Halogen bulbs, compact fluorescent lamps (CFLs) and light-emitting diode (LED) bulbs offer longer-lasting light and are more energy-efficient than your old incandescent bulbs. Since the average home uses around 40 bulbs, switching over to “greener” bulbs is a great way to reduce your electrical bill. Consider hiring a professional energy auditor to evaluate the inefficiencies and wasted energy in your home. A certified and trained auditor will inspect in and around your home to pinpoint areas that need improvement and provide savings suggestions. Auditors may charge by the square foot or by the hour. Looking for expertise? The home renovation experts at Erdmann Exteriors & Construction are your local resource. Contact us today for a free consultation.